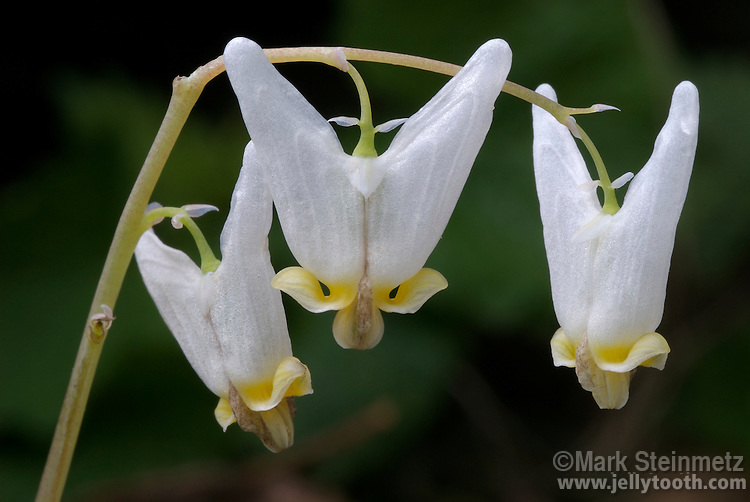 Close-up of Dutchman's Breeches (Dicentra cucullaria), a spring wildlflower primarily of eastern North American forests. Common name comes from resemblance to an arching clothesline of the baggy pants (hanging upside down) of the type once worn by Dutchmen. Franklin County, Ohio, USA.